BENTONIA — Clara Bell Griffith sat in a folding chair in the back of Old Liberty Missionary Baptist Church a few minutes before Jack Gordon Owens' funeral and recalled the day many years ago that he found religion. "Came up here to church on a mule," she said, laughing, "and left here on him just a runnin'. He said the mule was full of the Holy Ghost, too." About 100 friends and admirers gathered here Thursday afternoon to remember Owens, a legendary blues pioneer who died Sunday following an illness at the age of 92. They braved the cold and dampness, and they talked more about Jack Owens, the man, than they did the musician. Friends spoke of how he gave up many chances to play his music world-wide so that he could care for his bedridden wife, Mabel, who died in 1989. They noted that he couldn't read, yet he could find his way anywhere he wanted to go, without the help of road signs. And they talked proudly of his 1995 National Heritage Award and his opportunity to play for President Clinton in Washington. David Evans, a professor of music at the University of Memphis, knew Owens for about 30 years. He drove down Thursday morning to attend the service. "I came here in 1966 as a 22-year-old looking for music, and Jack Owens opened his doors to me," said Evans, 53. "He was a link to the heyday of the old country blues, when the music was pure and at its peak, back in the 1920s and '30s. For young people, there weren't many opportunities to hear someone who embodied that music. And with his passing, there's hardly any left. There are others who can recreate it, but Jack was there. He lived it." Mary Cox, 48, knew Owens all her life. "I'll never forget those summer days when I'd be on the outside and hear him, sittin' out there on his porch, singing and playing the guitar," Cox said. "And my house is where every-body used to stop to get directions to his. I've seen buses, cars, hundreds of people drive up to his house. He was a great artist." In his tribute printed in the program, Eddie Nelson, Owens' nephew, wrote that Owens' was born L.F. Nelson. Owens' parents were Celica Owens and George Nelson, but he was raised by Sam Owens of Bentonia. Nelson also wrote: “you played your music in Europe, and then you came home and was plain old Jack Owens. You didn't change. So God had a plan for L.F. Nelson that lasted 90-plus years. Now it's time to rest." On Thursday, February 13, 1997, a hundred or so people filed into the Old Liberty Missionary Baptist Church in Bentonia, Mississippi. They came for the funeral of Jack Owens who had passed away four days earlier in a Yazoo City hospital at the age of 92. Some came to mark the passing of "Mr. Jack", the farmer down the road who played old-time blues on his front porch for visitors from around the world. Others came to say farewell to a friend who had for the better part of a century provided an escape from life's hardships in the form of weekend front-room juke parties. Still others came to pay their respects to one of the last surviving links to the roots of Black American music. Jack Owens farmed all his life in the small town of Bentonia, running a juke joint on weekends where he'd sell barbecue and his homemade white whiskey. "When I was real young, I used to hear the young guys talking about that they was goin' up to Jack Owens' place", recalls Bentonia native Dorothy Burrell. "Jack Owens' place" was the front parlour of his small house, cleared of furniture and with a hole punched in the wall through which food and drink were served from the kitchen. The party would start Friday night and often run until Sunday evening, and would feature local blues players like Henry Stuckey, Skip James, and Adam Slater. Sometimes Owens himself would play for the dancers, matching the driving rhythm of his thumb-picked bass lines with the heavy stomp of his foot. 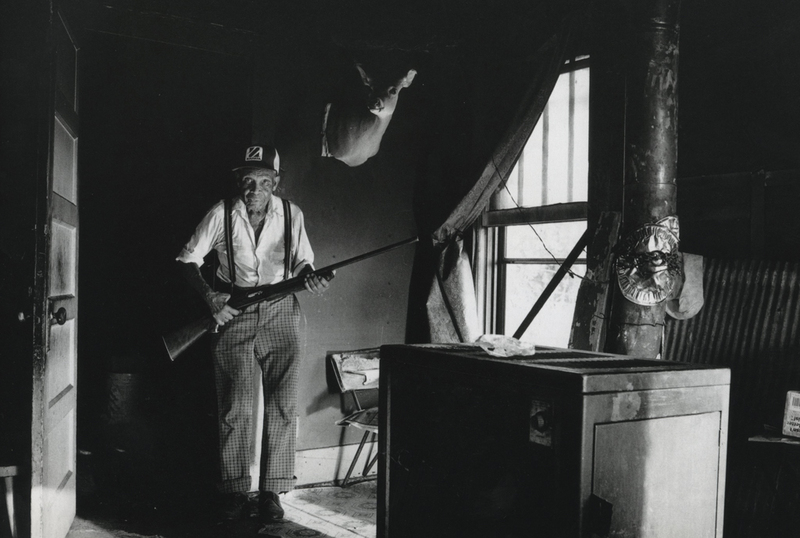 Except for the occasional weekend fracas set straight by Owens and his pistol, he led a relatively quiet life. He never felt the need to leave his native Bentonia; he was well-liked in the community and had carved a comfortable niche for himself there. 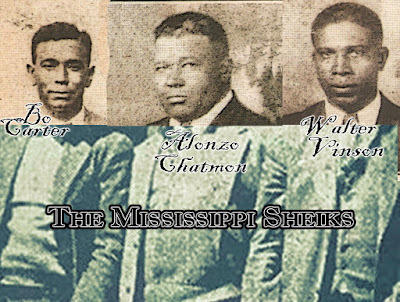 Unlike fellow Bentonian Skip James, who travelled and lived throughout the South, Owens never had the opportunity to be discovered by a talent scout like H. C. Spier, whose audition of James in Jackson led to a 1931 recording session for Paramount which saw 18 remarkable sides released. 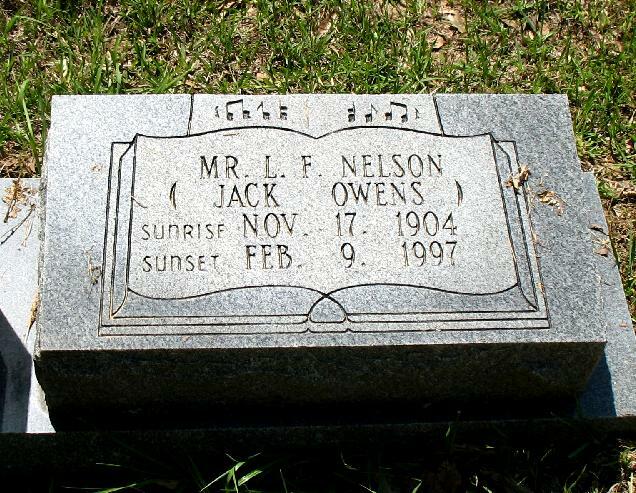 Jack Owens's legal name was L. F. Nelson, although this was not widely known until his funeral. No one, not even Owens' three surviving sisters, recalls what the initials "L. F." stand for. "I knew that he was a Nelson," recalls Burrell, "but everybody knew him as Jack Owens because he was raised by the Owens family." Owens was born to Celia  Owens on or about November 17, 1904. His father, who's last name was Nelson, ran off when he was five or six years of age. This left young Jack to be raised as an Owens in the household headed by his grandfather Samuel Owens. A 1910 census lists the children of the household as Savannah, Will, Lonnie, Jack (mistakenly listed as "Nelson Owens"), Leonard (listed as "Lennon"), Pearlee, Lucy and Willie. Leonard and Pearlee are listed as having the Nelson surname. At least two more children were born after 1910; not named in this census are Owens' sisters Lee Esther and Viola, who, along with Willie, are still living in 1997. Owens learned to play the fife as a child, and early on picked up a few chords on the guitar from his father and uncle. He also learned a bit of piano and fiddle at some point, although the guitar was to become his main instrument. In 1966, folk musicologist David Evans interviewed Bentonian blues singer Cornelius Bright, whom Evans had heard about from Skip James. Bright took Evans to meet Jack Owens one night, and Evans was hardly prepared for what he was about to hear. Owens' playing recalled that of Skip James, but with a rough edge not found in James' more delicate style. Owens was also a more forceful singer who didn't employ much of the falsetto that James favoured. Thrilled with his discovery, Evans began a series of recordings that night which would extensively document Owens' music for the next decade or more. A handful of cuts from these recordings appeared on various compilation albums, but it wasn't until 1971 that a full album of Owens' music (with Bud Spires on harmonica) was released on the Testament label. These tracks, plus some unissued recordings, were reissued in 1995 on compact disc [see accompanying discography]. 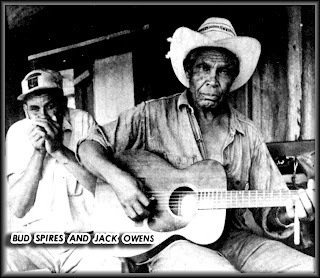 Thirty years later, Evans still holds a great deal of respect for Owens' playing, calling his style of blues "one of the most complex ever developed within a strong folk tradition." Owens used a number of alternate guitar tunings, including certain variations on standard tuning that seem to have originated with him. He used fingerpicks to achieve a brighter, louder tone and maintained a solid beat with his foot. Unlike Skip James, who considered his own playing to be art music intended for close listening, Owens created music that was well-suited for dancing and drinking. The two men shared a common repertory of lyrics, melodies and guitar figures, but the overall tonality of their music differed greatly. Many of the differences have been largely overlooked, with one writer even dismissing Owens entirely as a "derivative amateur". This curious conclusion could only have been reached without the benefit of hearing Owens's recordings; his singing and playing styles were as individualistic as they were complex. 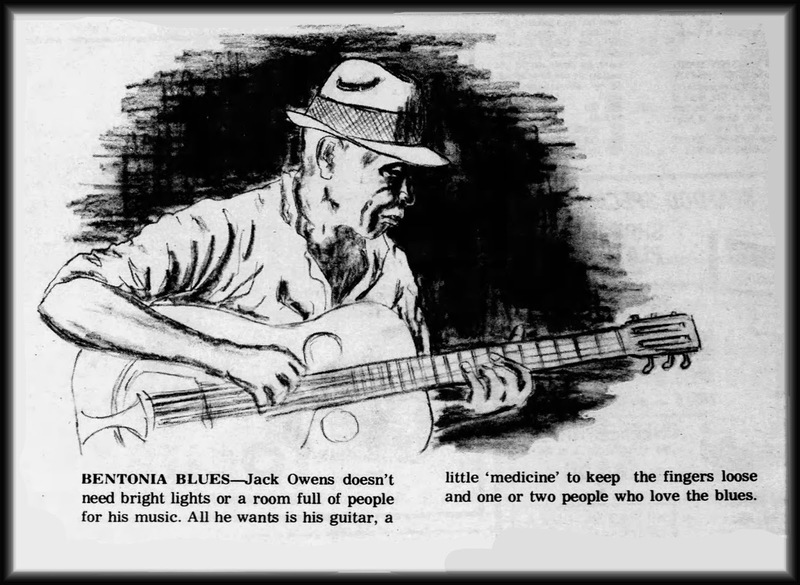 Jack Owens was perhaps the strongest living embodiment of a musical tradition all but drowned out by the din of today's entertainment industry. With his passing we lose one of the last tangible connections to the time and place that brought forth the blues. 1. According to Evans, Owens called his mother "Celie", but she is listed as "Celia" on the 1910 census. Her name is spelled "Celica" on Jack's funeral program. 2. Calt, Stephen. I'd Rather be the Devil: Skip James and the Blues_, p. 20 New York: Da Capo Press, 1994.